A bounce house or jumpy house brings excitement to any celebration for both kids and adults. 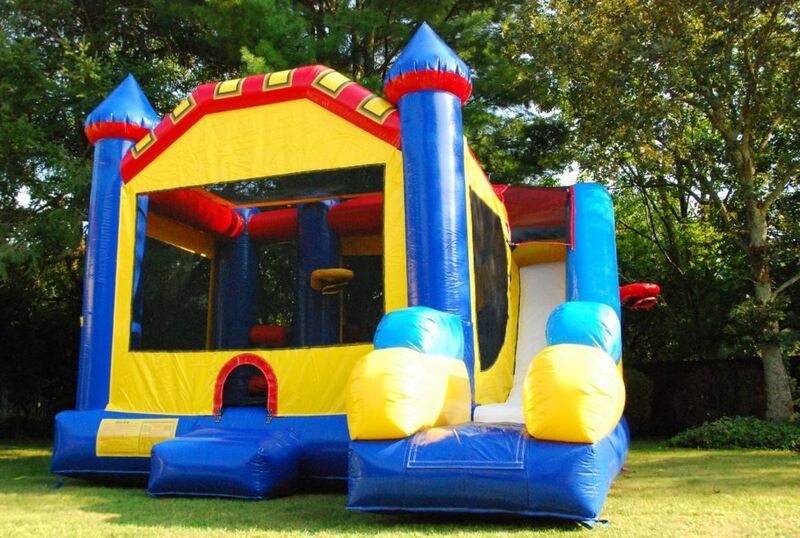 A small or big jumpy house keep the party going. They offer a way to stay busy bouncing and flipping while being safe. Before the party or after the party you need to transport the bounce house. 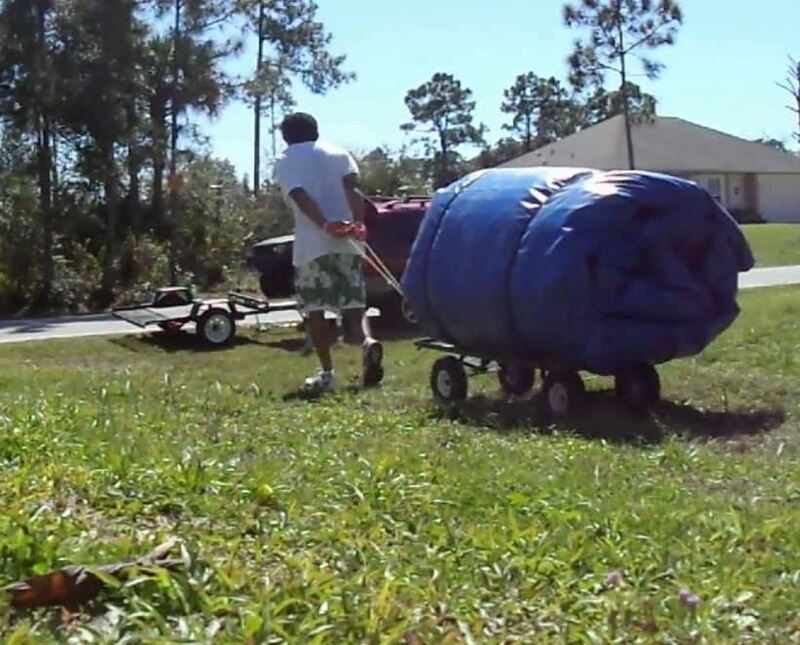 The procedure to transport the bounce house is easy as long as you follow the steps. Bounce house and party rentals are great places to find a small or big jumpy house. 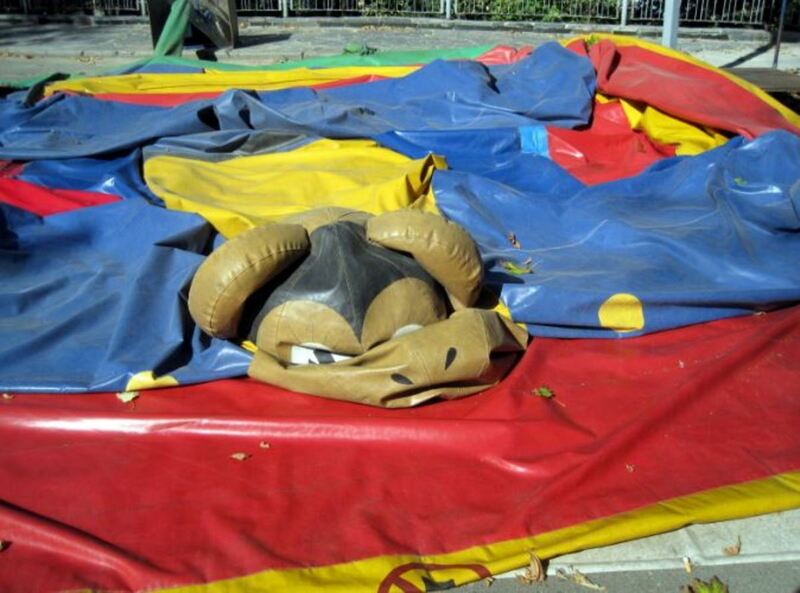 These companies usually blow up a bounce house and deflate them at the end of the party. 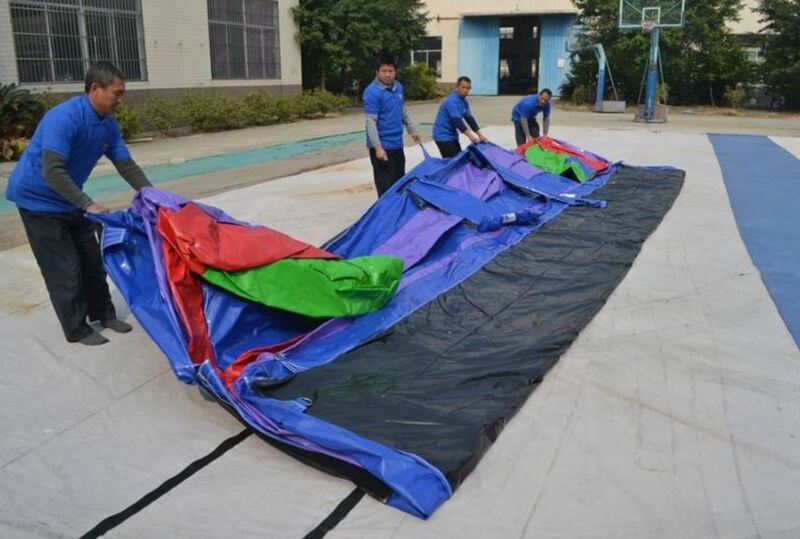 Bounce house owners need to know how to take care of their jumpy houses. After a bounce house birthday party, they ready for storage and transportation. 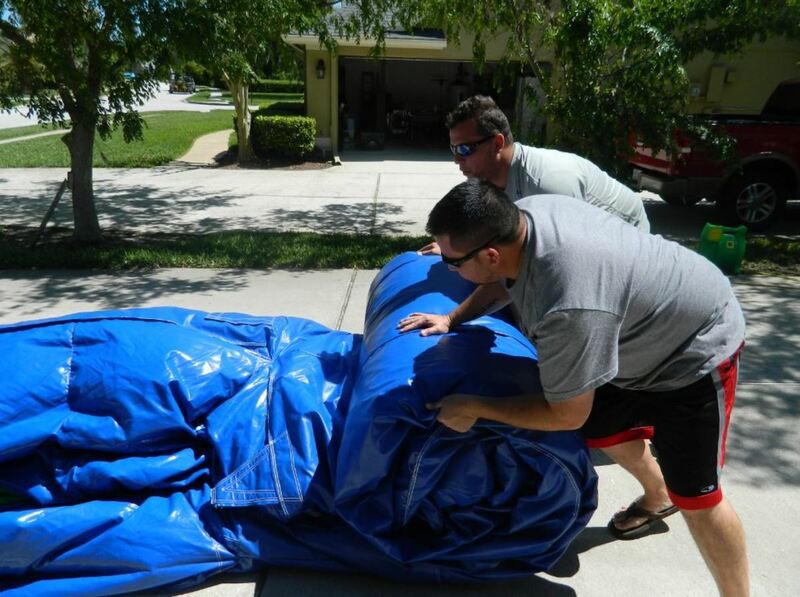 The first step in transporting the bounce house after using it is to give it a good cleaning. To do that, you need to clean the bounce house of all grass, dirt, sticks, and objects. The best way to do this is to use a broom and sweep it out. Next, wipe it down with a clean damp mop. The bounce house is all cleaned up and ready to deflate. Now, you need to unplug the electrical cord to the bounce house and watch as it deflates. You need to make sure all the air is out of the bounce house. If you don’t, it will be very hard to roll up and transport. 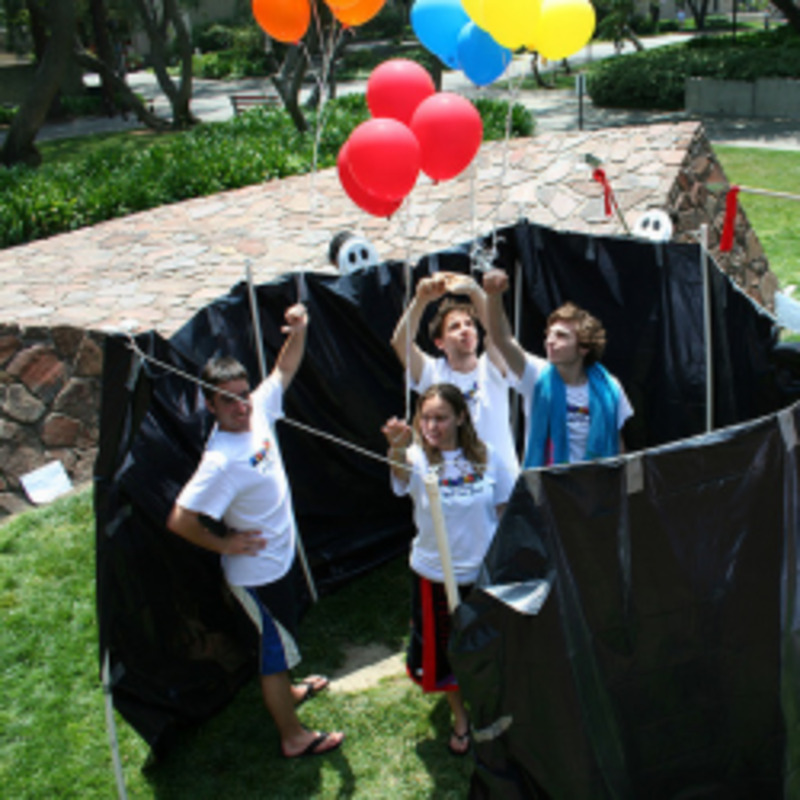 Would you want to start a bounce house renting company? I need more information to decide. The way to make sure all the air is out of the jumpy house. 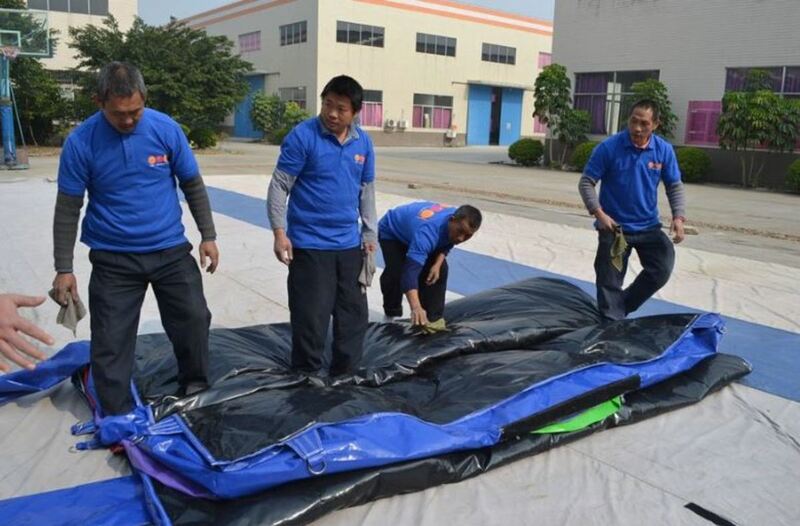 Lay the deflated bounce house flat on the ground. You need to get the small or big jumpy house as flat as possible on the ground. While it is flat on the ground, you can double check for any objects or foreign material. You need to catch all the foreign objects before it was deflated. How do you detect objects or foreign material? You will notice bumps and rough spots. Follow those bumps and spots and remove the foreign material as needed. Bounce house sizes do not determine if they can roll up or not. Both a small or big jumpy house roll up the same way. You start at one end of the deflated house and gradually roll it up. You actually tuck and roll the house. The action of tucking and rolling keeps the material very tight. The tighter you roll the material the better it is to transport. 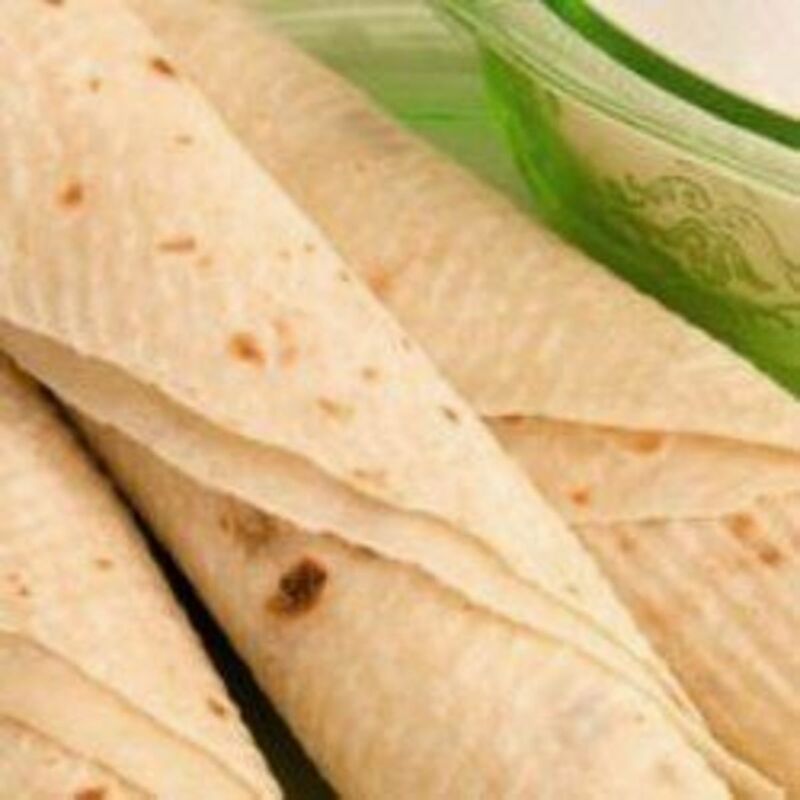 Getting someone to help you roll it up is all the better. It is easier to do it with two people. That way, you can have one person on each end, tucking and rolling. 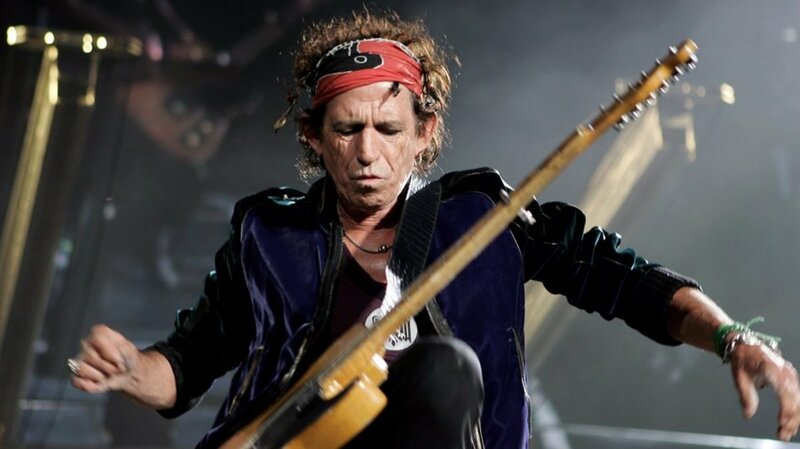 But, if it is only you, then stay in the middle, tucking a rolling while going out to each end, tucking and rolling. Keep in mind, the larger the bounce house, the better it is with two people rolling it up. You are almost done rolling up the bounce house. You grab the straps and wrap them around the rolled up jumpy house. There should be a strap in the middle and one at both ends. Make sure you keep the material tight. Tight is good and keeps the house in excellent condition. You are going to need a hand truck or dolly. You take the dolly and roll its edge up to the edge of the small or big jumpy house. Get the dolly as close as possible to the edge of the rolled up jumpy house. A big jumpy house needs three people to get it on the dolly. You and another strong person stand on each end of the rolled up jumpy house with a third person in the middle. On the count of three, all three people lift and tilt the bounce house until it is on the dolly. A smaller bounce house lifts onto the dolly with one or two people. 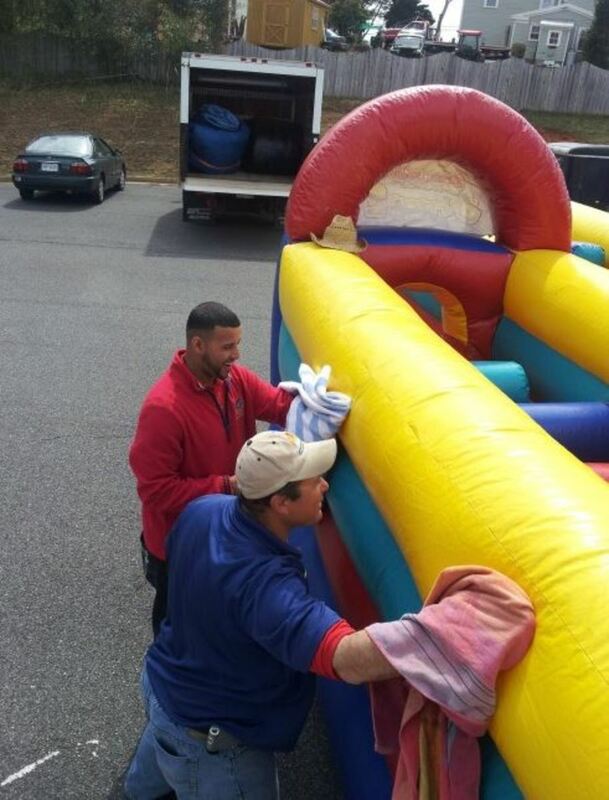 You or someone else pushes the hand truck with the deflated jumpy house to the van or truck. Bring the hand truck as close as possible to the edge of the vehicle. Have the same two super strong people pick up the rolled up house and place it in the vehicle. A small bounce house needs one strong person to lift it. Using two people to lift it is smarter. You drive the bounce house to the location where you want to store it. Park the van or truck as close to the spot where you want to store it or set it up. You will need to recruit two to three strong people to help you lift it out of the vehicle. You need to have a hand truck or dolly ready and nearby to move it to the location. Place the dolly near the rolled up bounce house. Have three strong people lift the bounce house from the middle and both ends onto the dolly. 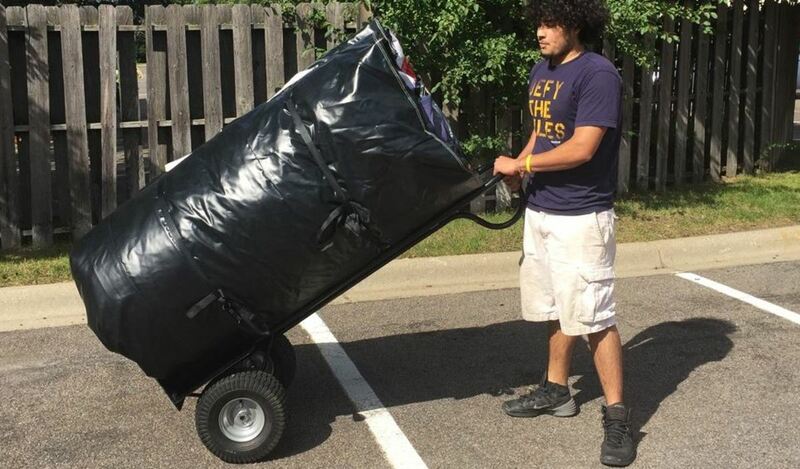 Guide the dolly to the spot where you want to store or set up the bounce house. 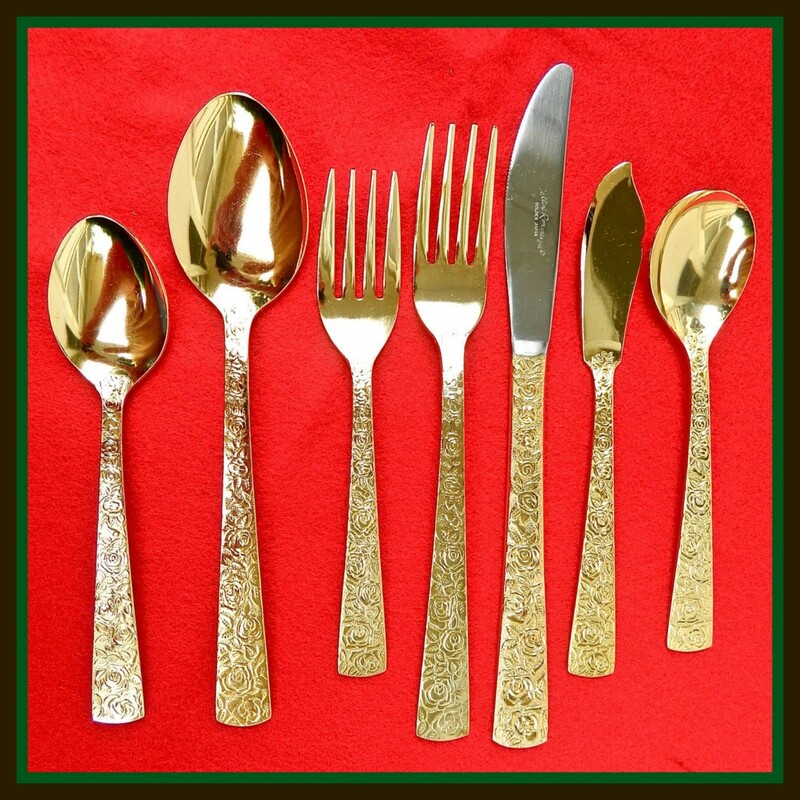 Set it there, but make sure, if you are storing it, that it is in a cool dry location for the next party. Good luck and remember don't try to lift the rolled up bounce house by yourself. Spare your back from injury and keep safe. Yes. It does. But they are so much fun and worth it. Don't you think?